With safety been the number one priority for Schools and councils, Kings Sports provides Basketball Tower Testing Service. 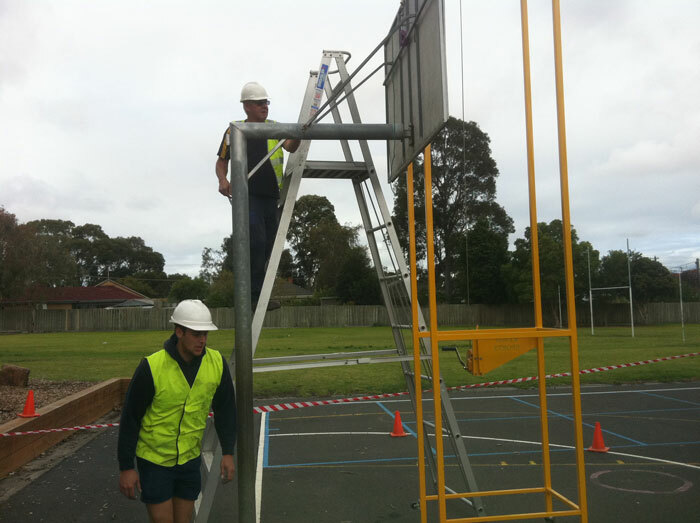 Tower testing service is to provide schools and councils with the appropriate information and recommendations regarding the structure and safety of their Basketball Towers. Our load testing is both easy and affordable to ensure schools and clients follow through on their testing. 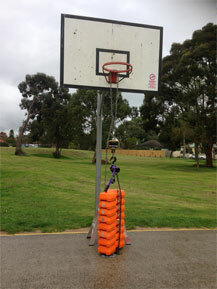 Please Note: All works on existing basketball structure are subject to Kings Sports assessment. 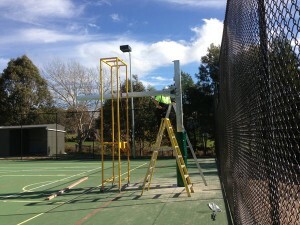 We at Kings Sports specialise in the installation of all our products. From domestic projects through to large commercial projects, Kings Sports does it all. Our team is superbly trained and drilled for all situations and are accredited with a number of safety and construction certificates/tickets. We endeavour to carry all works out in the safest possible manner and ensure all works comply with current OH&S standards. Furthermore are team aims to carry out works to the highest possible standard and customer satisfaction. Our in house manufacturing ensures our team is well educated and familiar with the products begin installed. The Kings Sports team has been supplying and installing Netting, Poles, Basketball and Tennis products for over 15 years and take great pride in producing state of the art facilities and providing solutions to our clients requests. So for any installation enquires or queries on any of our products please don’t hesitate to contact our friendly staff. At Kings Sports we take great pride in being one of the only sporting facility suppliers that is not only Australian owned and run but manufactures all our products in house at our very own warehouse. The benefit of this being, we can design and manufacture almost anything to suit our clients requests. We often come across projects and do site assessments that require particular brackets, poles, nets ext. that other companies simply cannot do or simply over charge for. Our skilled team will always endeavour to come up with not only the most efficient solution but one that is also visually appealing. Customised projects are what we specialise in. We understand the importance of particular projects to our clients and take pride in delivering to the highest possible standard with a strong emphasis on attention to detail. For quotes and any site assessments please contact our offices to arrange an appointment.